The €10,200 Single-Day High Roller of the EPT12 Malta attracted many regulars of the international poker circuit, and as such a field of 99 players was created. On top of that came 35 reentries to bring the total to 134 entries generating a prize pool of €1,299,800, which was split among the top 17 spots. Ultimately, it was EPT9 Grand Final champion Steve O'Dwyer who emerged victorious at the Casino Portomaso after 13 hours of play to scoop yet another shiny EPT trophy as well as a first-place payout of €327,030. In heads-up play, the American with Irish roots defeated online superstar Ilari "Ziigmund" Sahamies, while American pro Jason Wheeler took third place just one day after coming fourth in the €25K High Roller. Up until the end of the late registration period at the start of level nine, the action was fast and furious. Several PokerStars Team Pros took a shot at the trophy but Theo Jorgensen, Johnny Lodden and Liv Boeree all busted early only to go jump into Day 1b of the EPT12 Malta Main Event. Other notables to miss the money included Ivan Luca, Davidi Kitai, Bryn Kenney, Mustapha Kanit, Martin Finger, Antonio Buonanno, Ole Schemion, Marvin Rettenmaier, Dominik Panka, EPT11 Grand Final champ Adrian Mateos, and 25k High Roller champion Mike "Timex" McDonald. 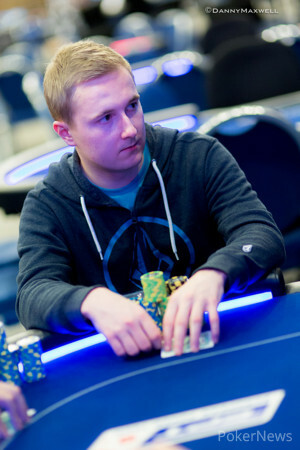 Polish wonder kid Dzmitry Urbanovich went from the chip lead to out before the money in two hands and shipped his entire stack to Christopher Frank. Meanwhile, Jonathan Roy and Dan Smith fell just before the money before Juha Helppi busted as teh bubble boy. Mukul Pahuja was the first player on the rail in the money with Rainer Kempe, Senh Ung, Ricardo Alvarado and Dario Sammartino following in quick succession. 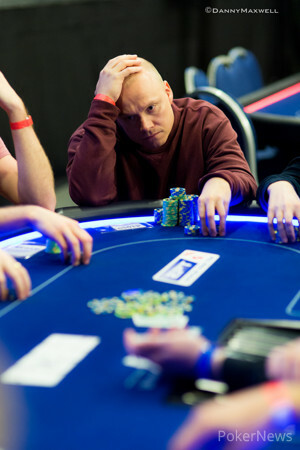 Frank lost a lot of chips against the nut flush of Jean-Noel Thorel and departed soon after while Jussi Nevanlinna busted in 11th place soon after. Team PokerStars Pro Jason Mercier, who fell in 10th place, narrowly missed out on the final table, and then the elimination of Byron Kaverman set up the official eight-handed final table. Sitting atop the counts were O'Dwyer, Thorel and Niko Soininen. Julian Stuer lost a flip against the pocket deuces of Thorel to settle for eighth and then Vlado Banicevic experienced the exact same scenario soon after. Twice Thorel made a set with his pocket pair, yet it was the Frenchman who went next. Thorel four-bet shoved with pocket jacks and Sahamies woke up with aces to score the knockout. Not even half an hour later, the field was reduced to its last three hopefuls. Soininen paired his ten only for O'Dwyer to find an ace on the river to send the Finn out in fifth place. 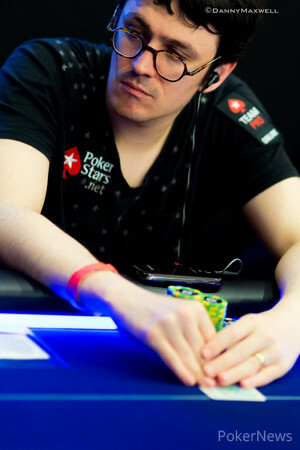 PokerStars Team Online member Isaac Haxton had to settle for fourth place. His shove was called by both O'Dwyer and Sahamies, and Haxton's deuces ended up third-best to the of Sahamies and the of O'Dwyer. Wheeler was the shortest stack with three players remaining and got it in with the , O'Dwyer looked him up with , and the board ran out queen high. 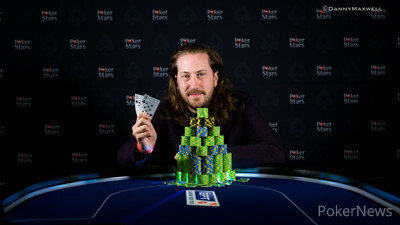 The American expat, now calling Amsterdam his home when not traveling for poker, made back-to-back final tables two days in a row in High Roller events and picked up yet another decent payout for his third-place finish. Heads-up lasted just four hands and O'Dwyer won all of them, shoving it in preflop in the last hand with the when holding an almost 5-1 lead. Sahamies called with the and watched the board run out in favor of his opponent. The festival at the Casino Portomaso continues with Day 2 of the €5,300 EPT12 Malta Main Event as of 12 p.m. local time, and late registration remains open until the first card is dealt. The big buy-in specialists will then return on October 29th for the regular three-day €10,300 High Roller tournament. Of course the PokerNews Live Reporting Team will be there to cover all key hands until a winner is crowned in both events. The heads-up match lasted all but four hands and Steve O'Dwyer won all of them. Ilari Sahamies asked before the start of the heads-up whether they could also play it at a later date, but O'Dwyer suggested to play a while still and see where that leads to. In the first hand of heads-up, Sahamies raised to 400,000 and O'Dwyer called. They checked the flop and the turn before O'Dwyer bet the river for 450,000 to scoop the pot uncontested. The second hand was a limp by O'Dwyer and the check of Sahamies. On the flop, Sahamies check-folded to a bet worth 200,000 by O'Dwyer. The third hand was a walk for O'Dwyer and he then open-shoved the fourth hand. "I don't know, I am so bad," Sahamies said and then called it off for around 2,600,000 chips. The flop immediately improved O'Dwyer and he held onto that lead with the turn and river. Sahamies is eliminated in second place for €220,970 while O'Dwyer ships yet another High Roller Event and shiny EPT trophy! Jason Wheeler open-shoved the button for 2,500,000 and Steve O'Dwyer pushed in from the small blind for a whole lot more. Ilari Sahamies folded and the cards were revealed. The board rolled out and O'Dwyer made a pair to send Wheeler packing third and set up a heads-up match for the title between Sahamies and O'Dwyer with O'Dwyer holding a better than 3:1 chip lead. Jason Wheeler shoved the small blind successfully and then Steve O'Dwyer claimed the antes and big blind of Ilari Sahamies with a raise to 400,000. Two hands later, Sahamies raised to 400,000 from the button and Wheeler moved all in for 1,340,000. Sahamies called and they tabled the cards. The board ran out and the king kicker won the pot. Steve O'Dwyer raised to 340,000 from the button and Jason Wheeler called. Both players checked the flop before Wheeler bet the turn for 250,000. O'Dwyer just flat-called and the river was checked through. Wheeler tabled for a pair of threes while O'Dwyer won it with the for a pair of sevens. Ilari Sahamies opened to 280,000 under the gun and Steve O'Dwyer called from the small blind. Ike Haxton then shoved the big blind for 795,000 total. Both Sahamies and O'Dwyer called and checked through the board. Haxton held and Sahamies the , but neither were good against O'Dwyer's . 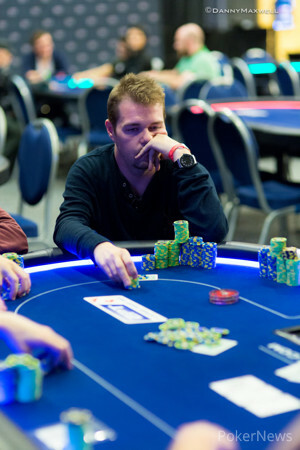 The action folded around to Niko Soininen in the small blind and he moved all in. Steve O'Dwyer asked "how much?" and as soon as Soininen had taken his hands away from the stack to make it visible, O'Dwyer called for around two million in chips. The flop improved Soininen to a pair of tens and he also faded the turn, however the river gave O'Dwyer back the lead with a pair of aces and Soininen headed to the payout desk. During a discussion with some of the most regular players, Neil Johnson was listening to feedback and Bryn Kenney came up with the idea for this very event. He is just now on the rail as well, cheering for Steve O'Dwyer and Jason Wheeler. In fact, it was O'Dwyer who confirmed that it was Kenney's idea.